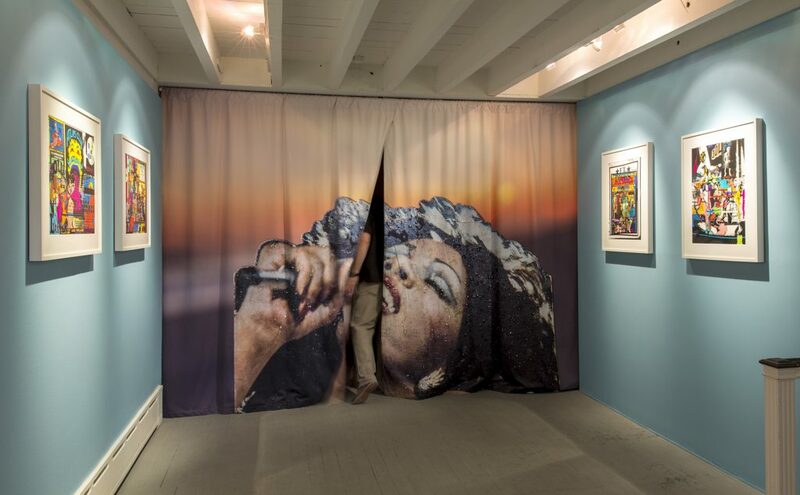 Installation view of Gabriel Martinez: Bayside Revisited, 2015. Self-guided school group tours are always welcome at The Print Center. Hundreds of high school and university classes view our exhibitions annually. Guided tours are available by appointment. For more information, please call 215.735.6090 x1 or email info@printcenter.org. 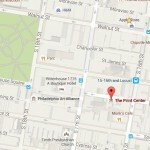 From Center City – The Print Center is located on the South side of the 1600 block of Latimer Street between Spruce and Locust Streets. From New York/Northern New Jersey – Take I-95 South to I-676 West. Take the Broad Street exit. Turn right (South) on 15th Street. Take 15th St. to Latimer St. (just after Locust) and turn right. This is the 1500 block of Latimer. Continue straight on Latimer to the 1600 block and The Print Center is on the left-hand side at 1614 Latimer. From Southern New Jersey – Take the Ben Franklin Bridge into Center City. Follow I-676 West and take the Broad Street exit. Turn right (South) on 15th Street. Take 15th St. to Latimer St. (just after Locust) and turn right. This is the 1500 block of Latimer. Continue straight on Latimer to the 1600 block and The Print Center is on the left-hand side at 1614 Latimer. From Delaware and points South – Take I-95 North to I-676 West. Take the Broad Street exit. Turn right (South) on 15th Street. Take 15th St. to Latimer St. (just after Locust) and turn right. This is the 1500 block of Latimer. Continue straight on Latimer to the 1600 block and The Print Center is on the left-hand side at 1614 Latimer. From points Northwest and Southwest of Philadelphia – Take I-76 to I-676 East. Take the Broad Street exit. Turn right (South) on 15th Street. Take 15th St. to Latimer St. (just after Locust) and turn right. This is the 1500 block of Latimer. Continue straight on Latimer to the 1600 block and The Print Center is on the left-hand side at 1614 Latimer. The nearest parking lot to The Print Center is located one block away on the 1500 block of Latimer St. Take 15th Street to Latimer (just after Locust) and turn right. Town Garage is on the left-hand side of Latimer Street.